If you enjoy doing literature studies in your homeschool, you are going to LOVE this amazing list from Homeschool Giveaways! There is a list of ten of the most loved books and their accompanying DIY unit studies and printables. There are all the resources you need to turn a favorite book into a literature unit! Books on the list include Black Beauty, Alice in Wonderland, Charlotte’s Web, and more! 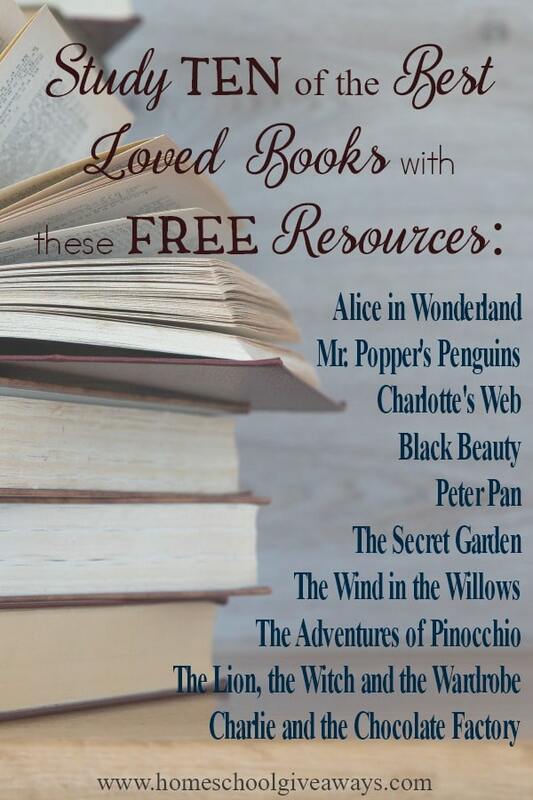 Grab your free Best Loved Books Resources here!